Top motivational speaker, Mark Anthony Garret, has launched a new course, designed to help up and coming public speakers become proficient and profitable in their craft. "This public speaking course is the real deal, it contains Real Content, for Real People who want Real Results", says Garrett. The course is titled “Public Speaking Empire: Simple Proven Profitable Strategies on How to Share Your Message, Knowledge and Products with the World” and is geared towards aspiring public speakers who want to become successful in the field. It was created by renowned public speaker, Mark Anthony Garrett and features a number of proven tips, strategies and tools that professional public speakers can use to create multiple income streams. The fear of public speaking is the number one phobia among adults, according to surveys, and research shows that 3 out of every 4 people suffer from speech anxiety. In light of these facts, the course is seen as a timely intervention for many people who might have a valuable message but are not equipped or are afraid to air their voices. The motivational speaking course is designed to not only help potential speakers create strong messages that people will be interested in but also to help boost their confidence. Through the course, Garrett expects students who have dreamed about public speaking to turn their dreams into reality and build their public speaking empire at the same time. According to Mark Anthony Garrett, his new course was created to help people, who have a beneficial message to share, but may not be able to properly express it due to a lack of public speaking skills or training. One of the most requested motivational speakers in America within the educational field, Garrett believes his course will help new and seasoned speakers understand the speaking industry and get them ready for success. Students stand to learn the seven foundational principles of speaking, including how to identify valuable messages and package them effectively for public consumption. “This revolutionary course will teach much more than speaking from a platform. It will illustrate multiple ways to get your message to the world, through books, CDs, DVDs, and online platforms. This public speaking course is the real deal, it contains Real Content, for Real People who want Real Results", says Garrett. An author, businessman and speaker coach, Mark Anthony Garrett has built up a reputation for inspiring audiences around the world. The motivational speaker has been highly rated as an expert in his field and is committed to helping up and coming speakers find similar success. Students who sign up for the new course are promised an expert’s insider view of the speaking industry, as well as an opportunity to find financial success. The course is available at course.PublicSpeakingEmpire.com. 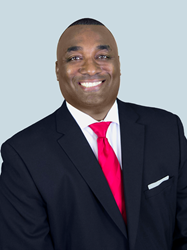 Motivational speaker, Mark Anthony Garrett is the author of Teachers Are Heroes – 7 Success Principles for Transformational Teaching and a leading columnist for Fostering Family Today Magazine. Mark’s story and Teachers Are Heroes message has been featured on ABC, NBC, CBS and FOX networks and affiliates. He has also been featured in Forbes magazine.